The SEC is known throughout the country these days as a money-printing, championship-winning behemoth across college sports. It is home to 14 schools that compete in just about every sport across college athletics, it has its own television network and it inspires regional pride unrivaled across the nation. The conference looks much different than it did when it began more than 80 years ago. Let’s take a quick spin through history to see where the SEC came from and hit on some major points in its existence. Back in the late 1920s and early 1930s, the Southern Conference was the dominant force in college athletics, taking over the the Southern Interscholastic Athletic Association in that regard. It was a swollen behemoth of a conference, home to 23 schools across 10 states. More than half of the schools in the conference were soon-to-be members of the Southeastern Conference. By the early ’30s, the conference grew too big for its own good. Partly due to the difficulty of travel in those days, the Southern Conference announced it would be splitting up at its conference meetings in December 1932. The teams located west and south of the Appalachian Mountains would be splitting off to form their conference, to be known as the Southeastern Conference. The original member schools of the Southeastern Conference, which began play in 1933, were Alabama, Auburn (then Alabama Polytechnic Institute), Florida, Georgia, Georgia Tech, Kentucky, Louisiana State, Mississippi, Mississippi State (then Mississippi A&M), Sewanee, Tennessee, Tulane and Vanderbilt. Many of the remaining members Southern Conference would eventually leave the conference about 20 years later in order to form the Atlantic Coast Conference. The Southern Conference still exists today at the Football Championship Subdivsion level. For the first eight years of its existence, the SEC rolled along with 13 teams. That changed in 1940 when Sewanee, also known as the University of the South, decided to leave the conference. In football, Sewanee had been a doormat, and the school made the decision to de-emphasize varsity sports and leave the SEC. Not long after that, the conference decided to bring on its first commissioner. In August 1940, Martin S. Conner, the former governor of Mississippi and an Ole Miss alum, was chosen for the role. He stewarded the conference until 1945, with a gap of a few years between him and the conference’s second commissioner, former LSU coach Bernie Moore. In 1948, Moore took over the job. He moved the conference’s offices to Birmingham, Ala., where they still are today. Georgia Tech was the second charter member to leave the SEC. Legendary Yellow Jackets coach Bobby Dodd objected to the conference’s policy on the “over-recruitment” of players, and GT left and became and independent in 1964. Tulane, which was then one of just two private schools in the conference along with Vanderbilt, followed suit two years later in 1966. Georgia Tech and Tulane would later become charter members of the Metro Athletic Conference in 1978. The SEC was content with 10 teams for more than 20 years, but in the early 1990s began seeking expansion. 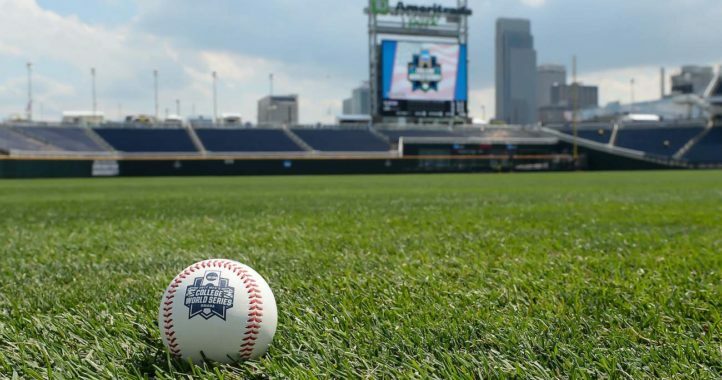 The reason behind the idea was simple: the SEC wanted to take advantage of a bylaw that allowed conferences with 12 or more teams to split into divisions and play a championship game at season’s end. The conference also wanted to expand its geographical footprint along with adding a championship game, so it investigated adding schools like Texas and Texas A&M, as well as Florida State, which to that point had remained an independent for its entire football existence. The Southwest Conference held on tight to Texas, while the ACC won out in wooing Florida State. The SEC got its wish to expand geographically, though, bringing in SWC member Arkansas, taking the school farther west. Along with the Razorbacks came South Carolina, another former Southern Conference member. The Gamecocks left the SoCon in 1953 to form the ACC along with several other schools, but eventually left the ACC in 1971 and went independent following disputes over recruiting regulations and battles with North Carolina. The SEC hosted its first championship game in the same town as its headquarters in 1992, with Alabama and Florida squaring off at Legion Field in Birmingham. It was the first conference championship game played at the Division I level and spurred a rash of realignment for conferences to be able to host their own championship games. After nearly 20 years at 12 teams, the SEC began hunting for new members again. This time, it was pushed to that move by several other conferences. The Big Ten (which in 2010 stood at 11 teams) started the wave by bringing Nebraska into the fold from the Big 12, then later adding Rutgers and Maryland. The then-Pac-10 (now Pac-12) followed suit, inviting six teams to join the conference. Colorado signed on in June 2010, followed a week later by Utah. Reports at the time of the other conferences expanding indicated that the SEC wasn’t initially interested in expanding, but that several teams were interested in the prospect of joining. Rumors began to pick up steam after Texas A&M officials met to discuss the impact of Texas, a fellow Big 12 member, launching its own television network. After two decades of interest, Texas A&M was given a 72-hour deadline in August 2011 to decide between the Pac-10 and the SEC, choosing the latter in the end and leaving the Longhorns and the Big 12 behind. With Texas A&M’s addition, rumors continued to swirl that the SEC would take another team. West Virginia, then in the Big East, and several ACC schools were among the teams mentioned; however, the ACC raising its exit fee to $20 million amidst all the realignment thwarted the idea of adding FSU or Virginia Tech. Late in 2011, the Big 12 indicated that Missouri was on its way out, not including the school among its expected members for 2012-13. It became obvious why when, in November 2011, the SEC announced it would be bringing Mizzou into the fold. 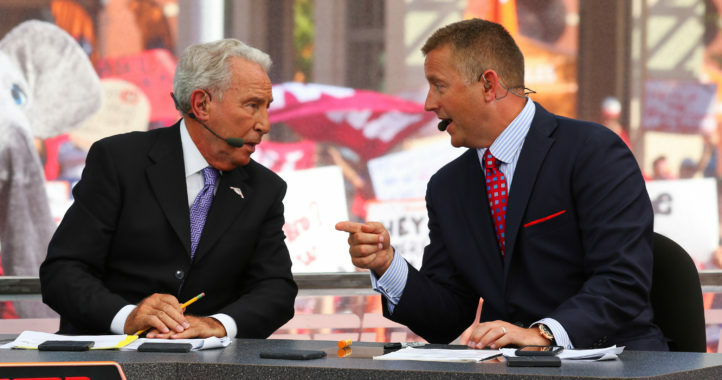 Texas A&M’s decision to ditch the Longhorns and their television network turned out to be a good call. 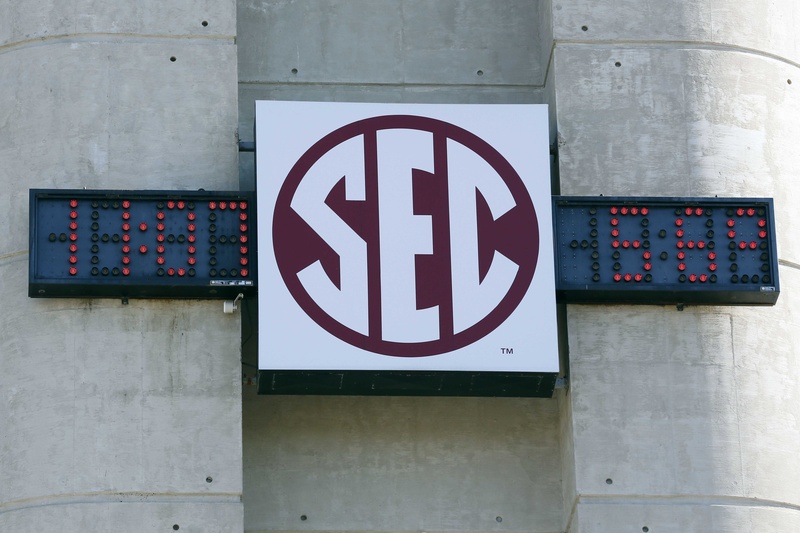 A year after the Aggies and Tigers officially joined the conference, SEC commissioner Mike Slive and ESPN president John Skipper announced a 20-year partnership between the two entities to launch the SEC Network, which would make its debut in August 2014. In its first fiscal year, the channel helped generate a record-setting $455 million in total revenue for the conference. Good history lesson — well done. FSU and Bobby Bowden believed, correctly I might add, that FSU would not be able to win a National Championship through the SEC. So, as a result, FSU ducked the SEC.